Robust, easy to grow heliconia with erect spiralling inflorescences made of bold orange bracts. The show starts in June and lasts through the warmer months. 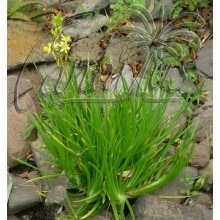 It will stay low and compact if kept in full sun and will bloom at 1,5 m in height. With shade and sheter it will double this size. 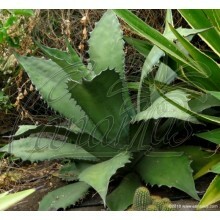 It thrives in subtropical conditions and it is drought tolerant once a clump is established. Robust, easy to grow heliconia with erect spiralling inflorescences made of bold orange bracts. The show starts in June and lasts through the warmer months. 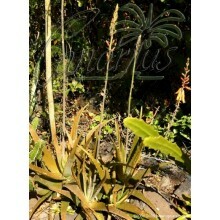 Heliconia latispatha will stay low and compact if kept in full sun and will bloom at 1,5 m in height. With shade and sheter it will double this size. 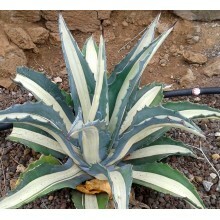 It thrives in subtropical conditions and it is drought tolerant once a clump is established.